3 days of football in a fun, safe & professional environment. Open to boys & girls aged 5-14 who have a passion for playing football. 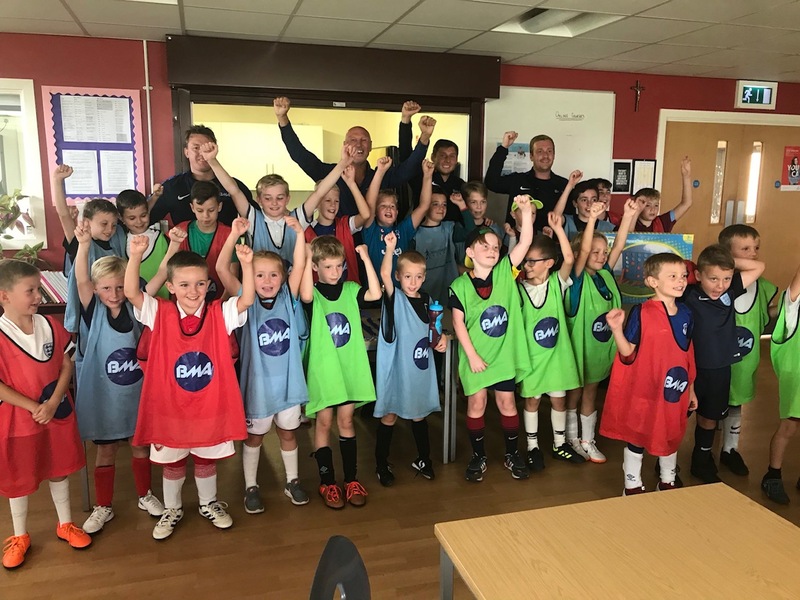 Our Camps will be running from 9am – 3pm each day with training being held on a 3G pitch, we also have use of the indoor facilities incase of bad weather. Lunch and snack breaks will be taken during the day and we host a daily football quiz to test our little whiz kids! Not forgetting BMA’s end of Camp presentation, each child will be presented with a certificate and a chance of winning a fantastic prize in our FREE raffle. If you have any questions please do not hesitate to email us at contact@beautymanmartinacademy.co.uk we aim to respond within 24 hours. Don’t forget to follow our social media accounts for behind the scenes fun, previous camp reviews and offers on our next camps. Enjoy the beautiful game with our Holiday Camps & weekly sessions. Learn the BMA way with Harry Beautyman & Joe Martin. © Copyright Beautyman Martin Academy. Website by Seven Pixels. Working with Visionary Sports.